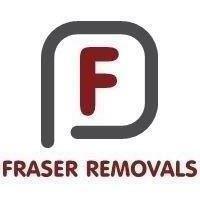 Fraser Removals - Removals/Storage, Rubbish/Waste/Clearance based in Aldershot, Hampshire. Fraser Removals is a family-run business - with over 20 years' removals experience - with a focus on quality service and customer-care at an affordable price. 'High-care, without the high cost'. We offer a highly-skilled, professional, friendly, flexible and reliable team to make your moving experience smooth, successful and stress-free. Nationwide & locally - throughout Surrey, Hampshire and Berkshire.